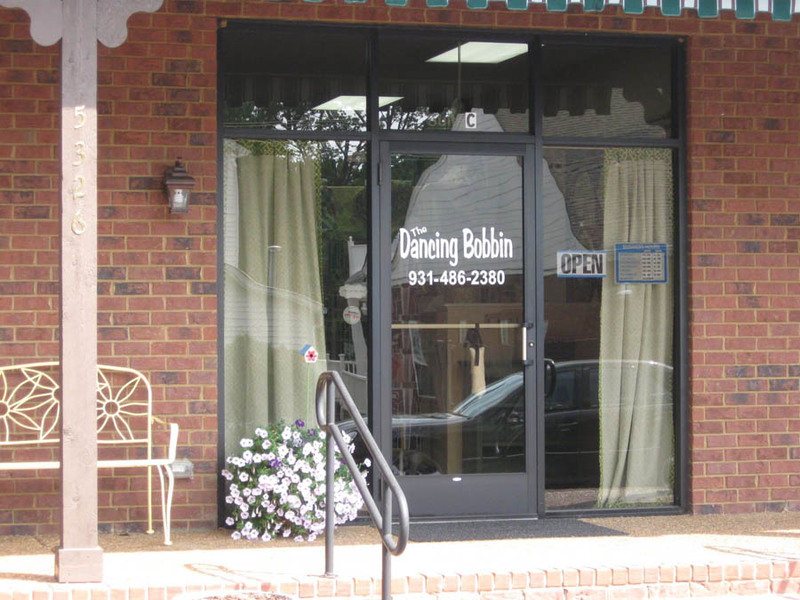 The Dancing Bobbin quilt shop. The rolling countryside of the plateau of middle Tennessee provides a beautiful backdrop for two, relatively new quilt shops in the area. One of them, located in Spring Hill, is The Dancing Bobbin. 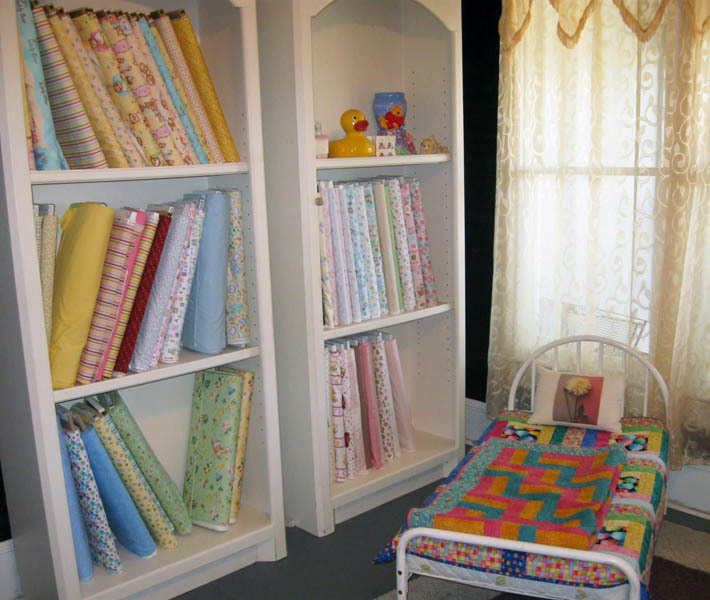 The owner of The Dancing Bobbin, Cathy Renaldo, has been in this location since April of this year (it's still got that wonderful "new shop" smell), and offers a delightful selection of fabrics, patterns and books. 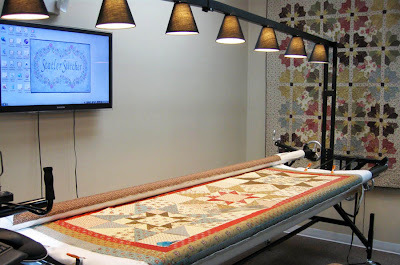 Her passion for long arm quilting was the impetus for the business and you can see her beautiful machine-quilted work on the completed quilts as well as works-in-progress right there in the shop. I met one of the staff members during my visit, Beth, who was telling me about the projects she teaches in the beginning sewing classes. Beth is full of ideas and energy and I can tell from her friendly personality that her classes are sure to be lots of fun. Cathy mentioned that the other staff members all have their specialty, and as a group, cover all areas of the quilting and sewing experience. The shop was decked out with patriotic displays for the July 4th holiday while I was there. 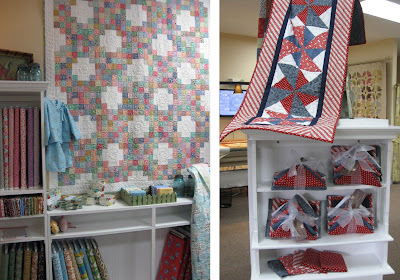 A more permanent display featured a quilt made from 20s and 30s reproduction fabrics that was machine quilted by Cathy. 20s and 30s fabrics in an Irish chain variation. Red, white and blue table runner and kits. 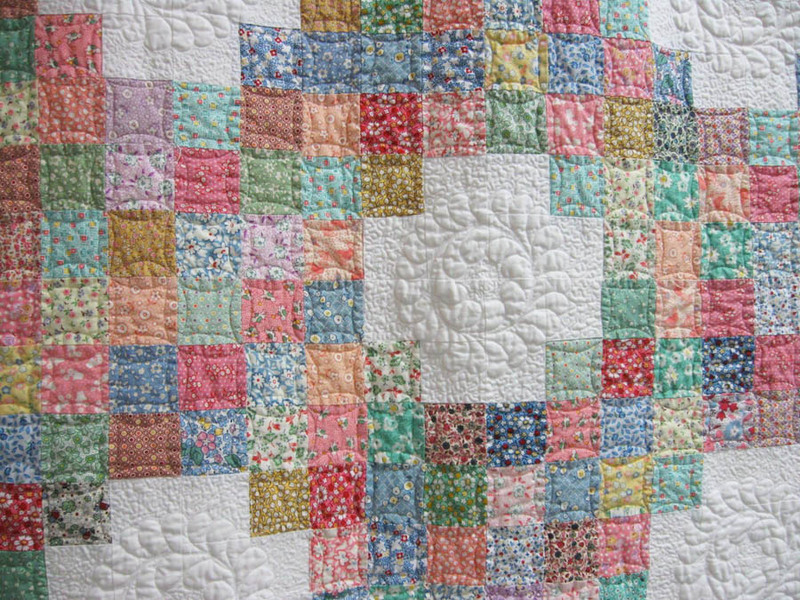 Here is the detail of the quilting... great work! Long arm quilting machine at The Dancing Bobbin. 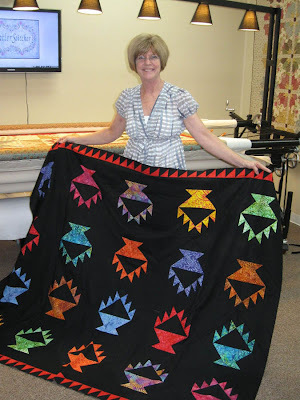 Here is Cathy, the owner, with an "almost Amish" basket quilt top made with batiks. This top is next in line for the long arm. What a stunning quilt top! And, don't you love the red sawtooth border?? Cathy will have more batiks coming in soon, so ask her or her staff about making a scrappy batik basket quilt of your own. Cathy with a batik basket quilt. 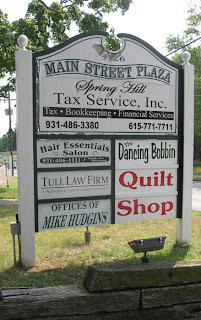 When you see the sign out front on Main Street, pull in the side drive to the back where you'll find other offices and The Dancing Bobbin. Use the ramp or walk up the stairs and you'll be greeted by a friendly staff member inside. 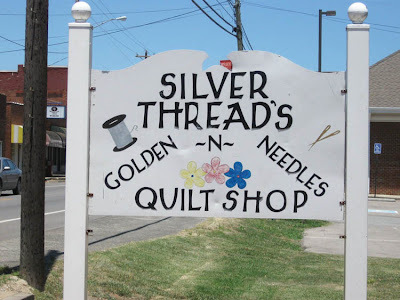 Traveling southeast from Spring Hill is Chapel Hill, Tennessee, home to Silver Threads and Golden Needles Quilt Shop. 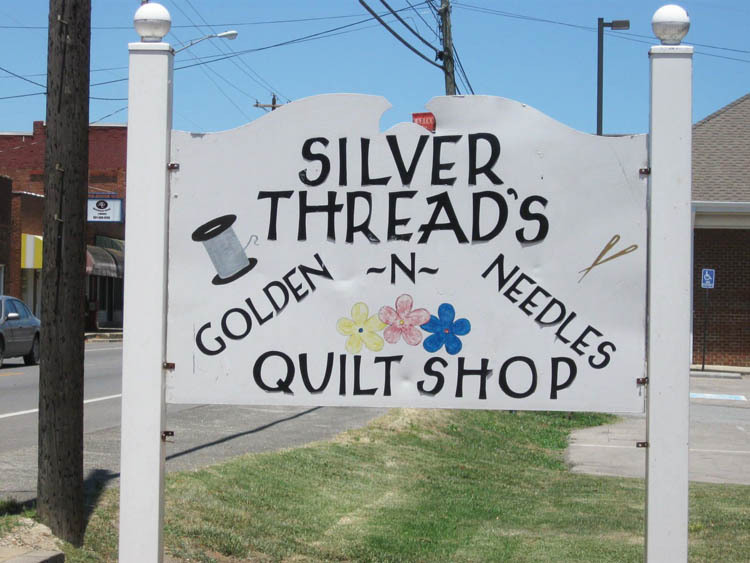 Silver Threads and Golden Needles is located at 130 N. Horton Parkway in Chapel Hill, TN. Cindy Palazzolo purchased this 1870s farm house that was in major disrepair. It is now refurbished, with most of the work done by Cindy herself, and her husband. 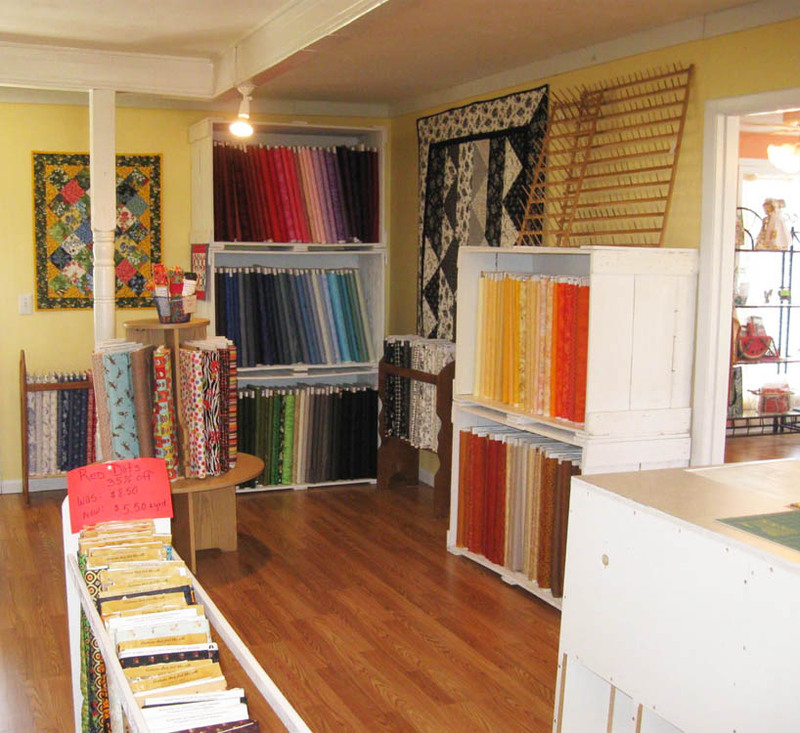 It's a most charming and spacious building for a quilt shop. 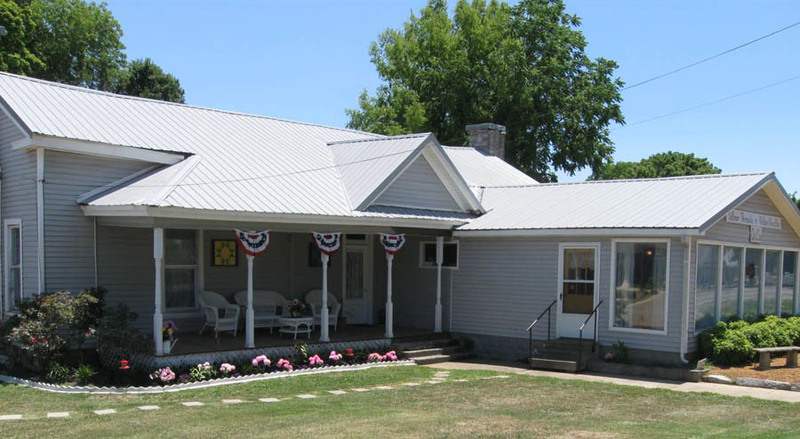 A refurbished 1870s farm house is the home to Silver Threads and Golden Needles quilt shop. Each room of this old house, of which there are many, is organized by fabric theme—children's prints, reproductions, brights, 20s and 30s. There is also a selection wide backings and batiks, threads, notions and quilting related items such as zippered tote bags. The walls are painted with lively period colors set off by the white trim and warm wooden floors. 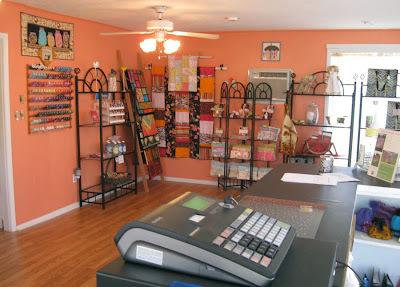 Front room of the shop. Brights, stripes and juvenile prints. 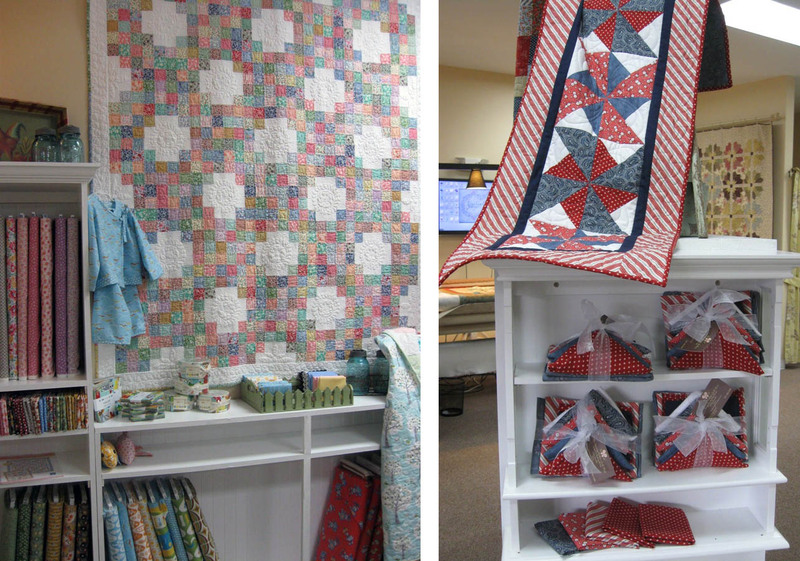 Cindy also started off offering long arms quilting services and grew her business to include quilting fabrics and accouterments. 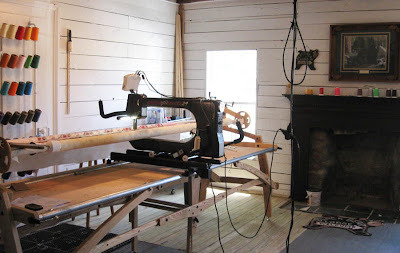 Her long arm machine is located in a former living room, complete with an old fireplace. 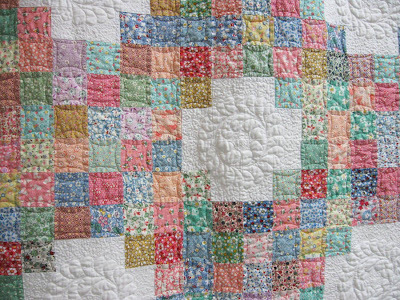 Long arm quilting services are offered at Silver Threads and Golden Needles. 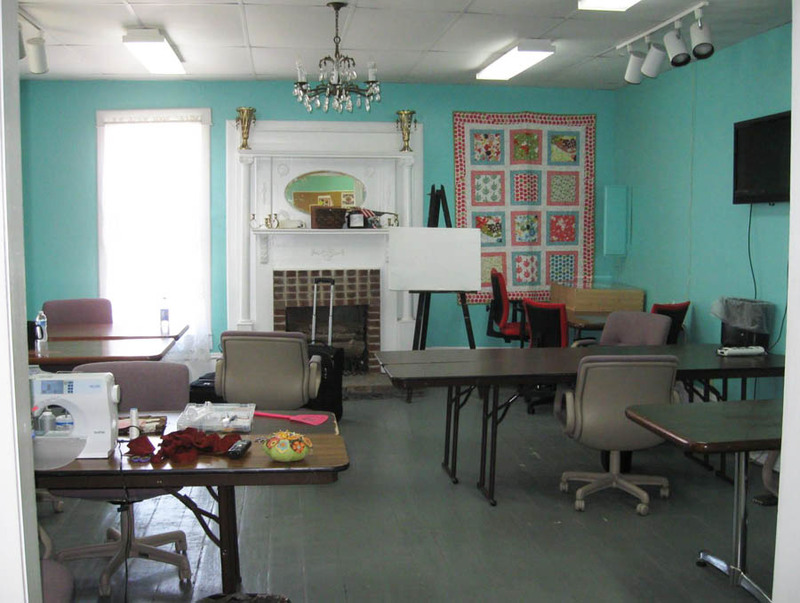 The large classroom has ample space for students or quilters that just want to get together for a sew-in. Contact Cindy at (931) 364-2886, to make sure the classroom is available. Large, roomy classroom space is available for classes and sew-ins. With all the rooms and additions that were made to this old house throughout its 140+ year lifetime, it might be easy to get lost as you wander from fabric room to fabric room. Cindy is very gracious and is quick to offer you a tour so you get the lay of the land. However, if you do get turned around, just call out and someone will come to your rescue. A different collection of fabrics are located in every room. 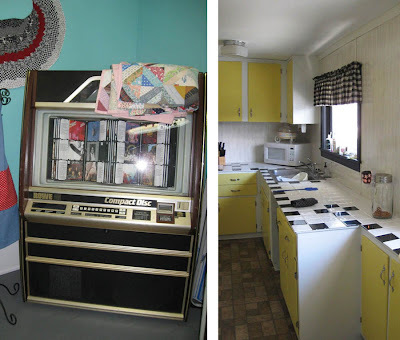 Cindy added personality to the shop with a vintage jukebox and a yellow, black and white color scheme (complete with checkered curtains) in the farmhouse style kitchen. What a warm and comfy atmosphere to work in every day. A vintage jukebox and perky kitchen color scheme add to the charm of the shop.